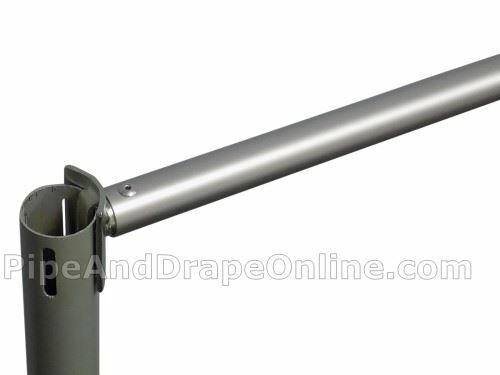 Large Clip Rod Support for hanging a banner / signage, adding a drape or two to close off a small area of a booth or backdrop, or to complete your coverage on a narrow remaining section, without the need for another Upright and Base! Telescopes between 33 inches wide (minimum) and 43 inches wide (maximum). Easy installation in seconds simply by slipping the Clip Support Rod onto the edge of any of our Uprights (Upright sold separately). 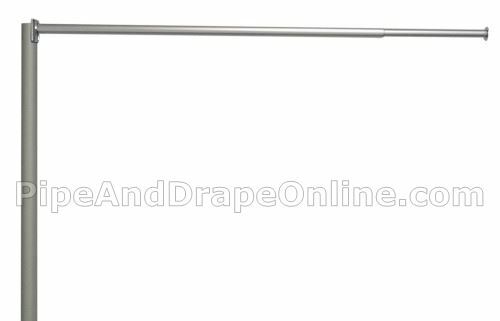 Recommended for use on our Fixed or Adjustable style Upright pipes. Though this item can be used on our Break Apart Upright, there may be an increased amount of leaning. If using on our 3 foot tall Upright, you would need to remove the chrome cap on the top of the Upright. Note: this part will cover 1 of the slots in your Upright, which will make that slot inaccessible for a connecting Support Rod. Made from a metal clip and extendable aluminum rod. Quantity 1 = 1 Large Clip Rod Support. Upright and other hardware sold separately. 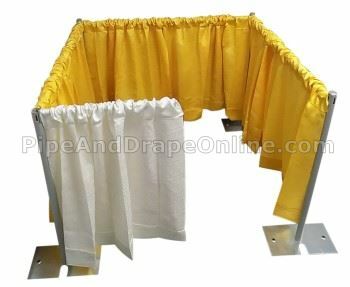 IMPORTANT: This product is intended for hanging light weight items, such as a light banner or a drape or two, and with as evenly distributed weight as possible. Do not exceed a total weight of more than 10 lbs., and do not put all of the weight load on one side (particularly the very outside / end of the rod). 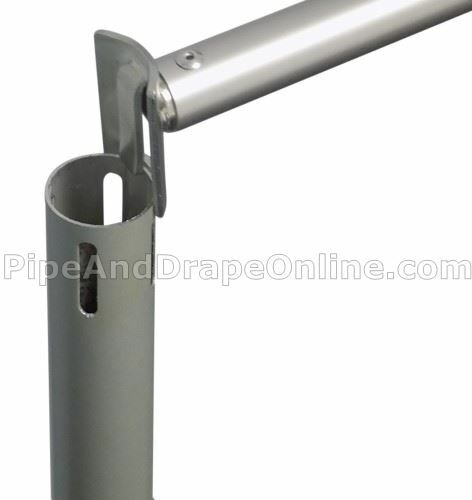 This product is not intended to be used on a stand-alone Upright - it is designed to be placed on a complete system (a structure that has at least two Uprights and Bases with a Support Rod in between them). 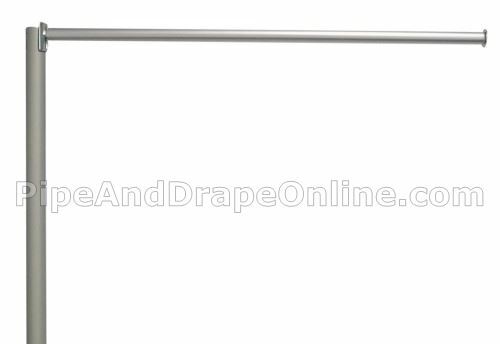 There may be some degree of downward sloping, especially if items weighing toward the maximum weight capacity are suspended and/or when the Clip Rod Support is extended. 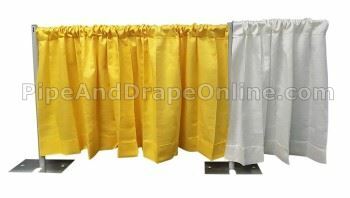 Finish off a short run without the need for another Upright and Base (shown in the White drapes at the right hand side), or hang a banner. Partially enclose a portion of a 3 sided set-up. Weight (Approximate, Each): 14 oz.